We have hit the half way point of the year, we are already six months into 2018… at the front door of June. A perfect time to begin the First Saturday Devotion, if you haven’t already done so. To start now would take you right up into October… the month that we will celebrate the next anniversary of the Miracle of the sun and Our Lady’s visit at Fatima. 101 years since the Blessed Mother visited Portugal and the sun danced over 70,000 people … Do you think the Blessed Mother is pleased with how the people responded? Do you think She is pleased with the way the things of the world have gone? What about Her Dear Son? Is He happy with what you have done? Have you done all that She has asked for Him? Could you have done more? It’s not too late. We need to remember… if we aren’t close to Mary, we will have a difficult time getting close to Her Son…’Mary’s soul does magnify the Lord‘… (Says so right in the Bible…) She will draw you closer to Jesus than you could ever get on your own. Not only does She enlarge our praise to God…She also magnifies His mercy on us… She doesn’t change God… She just helps us, who are blind, to see better… Her Immaculate Soul acts as a telescope for us… She helps us to see God more clearly… She helps us to see His love more fully… This is one thing that the Protestant community is so missing out on… As Catholics we need to pray the Rosary… everyday. Practice the First Saturday devotion, it’s only once a month. 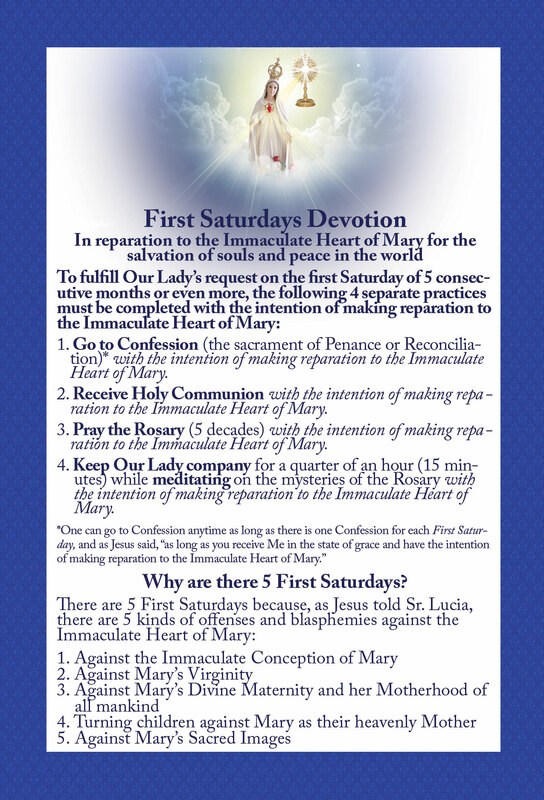 But it’s a way to honor the Lord… Remember, by honoring the Immaculate Heart of His Dear Mother… we are loving the Lord. Aim for conversion. For yourself. For your family. For the whole world.